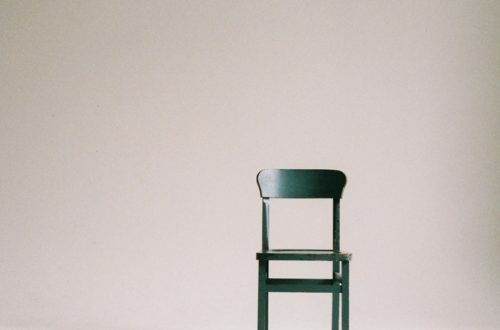 For years, I went to therapy every week and I gained so much from it—but I never thought I’d try online therapy until recently. I decided to give BetterHelp Online Therapy a try and review it and…I have a lot to say after my own experience and reading Betterhelp reviews. If you’ve ever been interested in online therapy, I’d recommend trying BetterHelp due to their low cost and low commitment. (Disclaimer: I get a referral fee if you use my link). Get the full scoop in the video! Note: I am an affiliate of BetterHelp. After trying it out and reading other people’s BetterHelp reviews, I thought this was something that may help the Alison’s Notebook community. If you sign up for it, I may get a commission (at no extra cost to you). This helps me continue to sustain what I do here on Alison’s Notebook. Go here to sign up for BetterHelp. Like I mentioned, I did therapy in the past for years. The reason I initially started going stemmed from repeated patterns in my dating life that I felt really hopeless about. I ate lunch with a girlfriend of mine and she recommended counseling a few times to me…but it took a while for me to come around. Finally one day, she mentioned a friend of hers that just started a practice and offered negotiable prices to new clients, which sounded appealing to me since my main excuse in the past involved the cost. Since this counselor didn’t take insurance and was new, he offered a more reasonable price than I’d heard from others. I don’t really want to mention his name, but I will say this—the next couple years changed my life. I started going to counseling to figure out my dating issues, but I got so much more out of it than that. Back then, I was abusing alcohol. I no longer think I’m an alcoholic like I did at the time, but I did learn a lot about WHY I was drinking so much and how to heal. A lot of what we did in therapy was deal with family of origin issues and cognitive behavioral therapy—in other words, I learned more practical tools for dealing with confusing and intense feelings, and I learned how to articulate and take care of myself better. After two years I “graduated” to group therapy, where I met with a different therapist and a group of 5 women once a week for around a year. 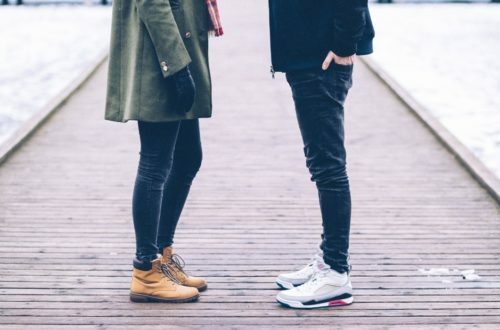 Near the end of that, I started dating my now-husband and once I felt confident that I was in a healthy relationship, my therapist helped me make the decision that it was ok to be done with therapy. I could be confusing the timeline a bit—it might not quite be 3 whole years, but it was over two. There are a few ways that going to counseling changed my life. The main reason I started going to therapy in the first place is because I intuitively knew there was something “off” in my dating life. My relationships were messy. We’d break up, but not full separate. Or, we’d break up, I’d date someone else, and then when the next breakup happened I’d go back to the first guy. I’m not judging anyone who participates in similar behavior, because today, I don’t see “wrong” or “right” the same for everyone. It depends entirely on your values and on the values of the other person. I didn’t feel awesome about it, and was fully aware that I was going back to old relationships as comfort that I wanted to get in different ways, or at least people who genuinely cared about me. Returning to old relationships for me felt empty and thoughtless because I knew it wasn’t going anywhere, and for me, it lacked fulfillment. In therapy, I also dealt with a lot of things I never knew I needed to deal with related to my family. Obviously, no parents are perfect. But it was surprising to me how much even small things had an impact on how I made both good AND bad decisions in my adulthood. 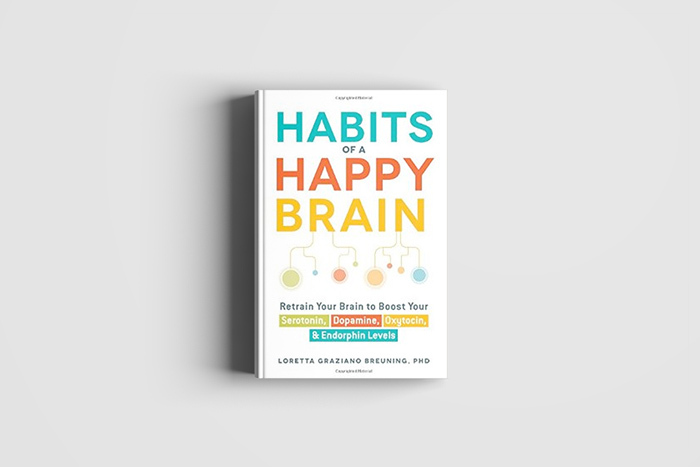 I won’t go into this too much now because I could go into a lot of detail, but what I CAN tell you is that the book “Habits of a Happy Brain” does an awesome job at explaining how to resolve many of these issues and behaviors with very simple steps. What I learned in that book reminded me a LOT of what I learned in therapy. BetterHelp is an online therapy platform and apparently have more than 1200 licensed professional counselors on their site. 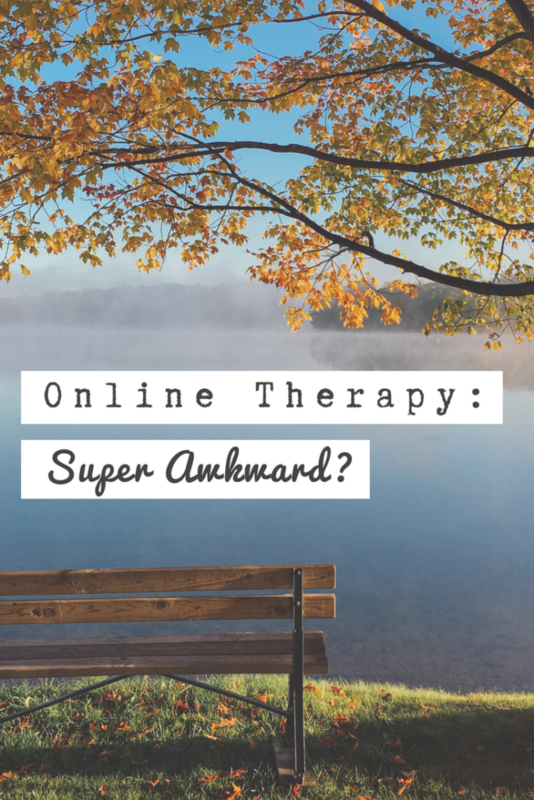 They’ve been around since 2013, and claim to be the largest online therapy platform. One thing I didn’t love, and a few BetterHelp reviews echo was that the cost isn’t very transparent before signing up. In the video below I mention that I got a free week (more on that later), but you don’t automatically get a BetterHelp free trial when you sign up. Until you create an account, you don’t have access to view the prices…but don’t worry, I got you. So, when they say “as low as $180 per month” or “as low as $35 per week”, they’re referring to the quarterly option. That is the price they quote the most in their advertising, so it’s worth pointing out that very few people who want “cheap therapy” are going to be able to afford to pay quarterly. If you’re like me, you’ll pay $80 per week. I liked this option because I knew I wanted to do BetterHelp for a limited time. BetterHelp also offers financial assistance, and the discount is *significant*. So, if you need therapy and can’t afford the prices above, then BetterHelp has other options. This is a misconception if you do some Google’ing that BetterHelp is free—and I think those ads are misleading. I was under the impression that my affiliate link gave everyone a free week since I myself got a free week, which isn’t the case. I’ve heard since then that not everyone is rolled into a trial. I think the trick is to go through the whole sign up process but STOP when it asks for payment. Then you’ll be in an email nurture sequence that will eventually offer you a free week. Is BetterHelp free? Is there a BetterHelp free trial? Go through the sign up process using my link below, and do everything you can before entering your credit card information. You’ll start getting follow-up emails from them, and I think one of those will offer a trial. Go here for more affordable therapy options. Does BetterHelp give refunds? Yes and no. Their customer support is top notch. I paid for an additional month when I knew I didn’t want to continue, and I reached out to their support team. They offered me a pro-rated refund—meaning, a refund for the counseling weeks I haven’t used yet. This was perfectly fine with me, and it was my fault in the first place that I paid for more time than what I wanted. So, the fact that they offered a pro-rated refund was great. I’ve heard similar positive BetterHelp reviews for customer support. After posting a video about BetterHelp, I did some more research on people’s feedback and BetterHelp reviews. I found a few resources helpful, and I put them all in this video. There were a lot of “scam” videos coming out, and I’ve seen a few of them. You should form your own opinion. Below are the third party reviews from users, which I referred to before purchasing for myself a few months ago. Here is my personal blog post that includes 10 free therapy options in addition to BetterHelp (11 total). Everyone needs help and support sometimes, and you should decide what is right for you and what you trust. Maybe you trust BetterHelp as an option and maybe you don’t. But you need to make your own decision. 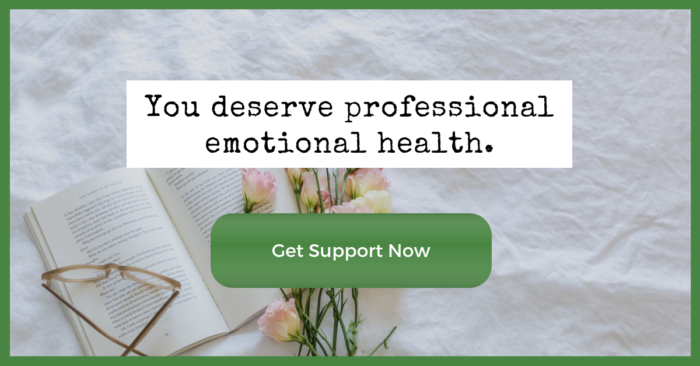 What I aimed to do with my original review, this blog post, and my latest video last week about 10 additional mental health options is to show that there are SO many options – free and affordable – for mental heath support. I’m glad these conversations are starting to remove some stigma around mental illness. The discussions are also helping to normalize mental illness and mental health—which I think is fabulous. Therapy changed my life, and I learned so many tools for dealing with every day stuff, AND really tough stuff. A lot of how I process and learn things stems from what I learned in therapy. Therapy heavily influenced what I write and think about today. That said, if you’re dealing with suicidal thoughts or clinical depression… You might need more support than what the platform provides. Additionally, there are people who have had bad experiences and left negative BetterHelp reviews. People who got counselors that weren’t helpful and seemed like they didn’t know what they were doing. BetterHelp also has a statement in their Terms and Conditions that state that you ue BetterHelp at your own risk and that they can’t verify the professional standing of their counselors. BetterHelp’s response to this statement is that it’s just “legalese”, and they are working on revising it. That said, if you get a counselor you’re not happy with right away? REQUEST A NEW ONE! Pretty simple. You should be happy with what you pay for. Other BetterHelp reviews mention that they had a good experience *after* switching counselors.